We recently got a new gas heating system, radiators and shower installed. The guys were punctual, polite and tidy. The job was done in 2 days and the difference with converting from oil to gas is huge, the house is so warm now. Great job by Paul and his team!! Really pleased with their work . They were very clean and tidy. Found everyone we came across very pleasant. Their aftercare was excellent Paul came out to check that we were happy with the work and to explain and shown how the timer worked. Would definitely recommend this company 10 out of 10. Got a conversion from oil to gas and Heaney carried out the work. Very professional installation of boiler and shower all completed in 2 and half days. Excellent work and would highly recommend them. Chose Heaney Heating on recommendation of two friends who had their gas installed by them. Really impressed by the professionalism of this firm. The two engineers who installed my gas were clearly very skilled and experienced. Very professional job. Paul Heaney followed up installation with personal visit. The admin staff very helpful and professional. I would have no hesitation in recommending Heaney Heating to anyone looking to install gas heating. Just had an oil to gas conversion by Heaney Heating and could not be happier. Excellent communication from start to finish. The boys were so polite, professional and hard working. Nothing was too much trouble, they are an absolute credit to this company. They even had their own hoover with them and tidied up and hoovered after themselves. Excellent workmanship. I cannot recommend this company highly enough. 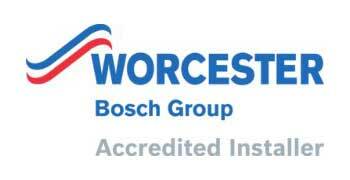 Worcester Bosch Accredited Installers (WAI) are independent heating engineers who are officially recognised by Worcester Bosch due to their high quality workmanship. Furthermore, the engineers also need to demonstrate a solid reputation and fair pricing to ensure the customer gets an effective and reliable service. These engineers are trusted by the company to carry out all manner of installations, maintenance and repair work for boilers and heating systems. We are approved installers of Phoenix Natural Gas, winning Phoenix Installer of the Year 2005 and 2008. Our company are registered installers of firmus energy. Safety is a priority, always ensure when getting gas work done atet you use a Gas Safe registered company. Heaney Heating Ltd are able to provide our customers with a cost effective, easily managed way to install natural gas. If you are worried about the cost of gas installation you can, subject to approval, spread the costs over a period that suits you. * Subject to approval. We are a credit broker and not a lender.